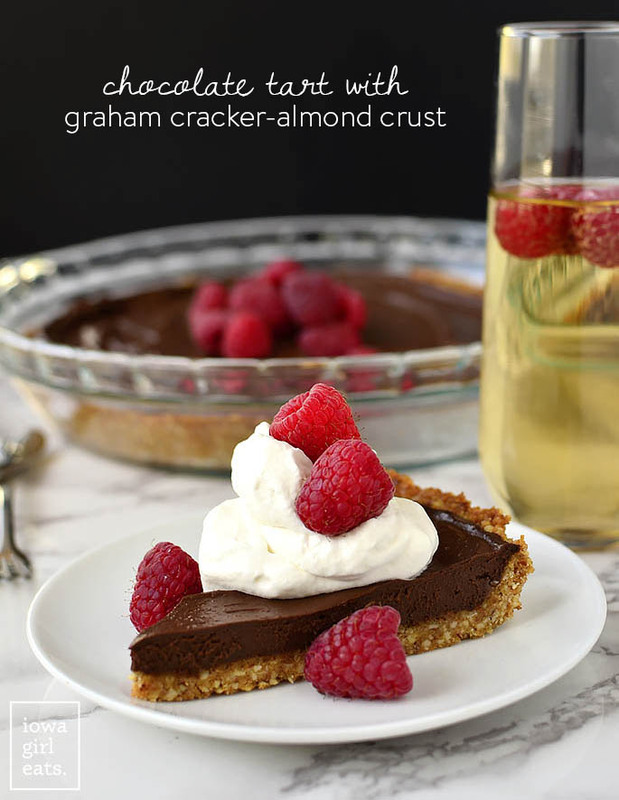 Chocolate Tart with Graham Cracker-Almond Crust is an unbelievably simple yet impressive gluten-free, dairy-free-friendly dessert recipe. Perfect for entertaining! I simply cannot believe that Mother’s Day is right around the corner! This year will be especially sweet as I get to celebrate being a Mom to not one, but two perfect peanuts. Though life has never felt crazier, I am the happiest I’ve ever been. LOVE THESE LITTLE NUGGETS!! 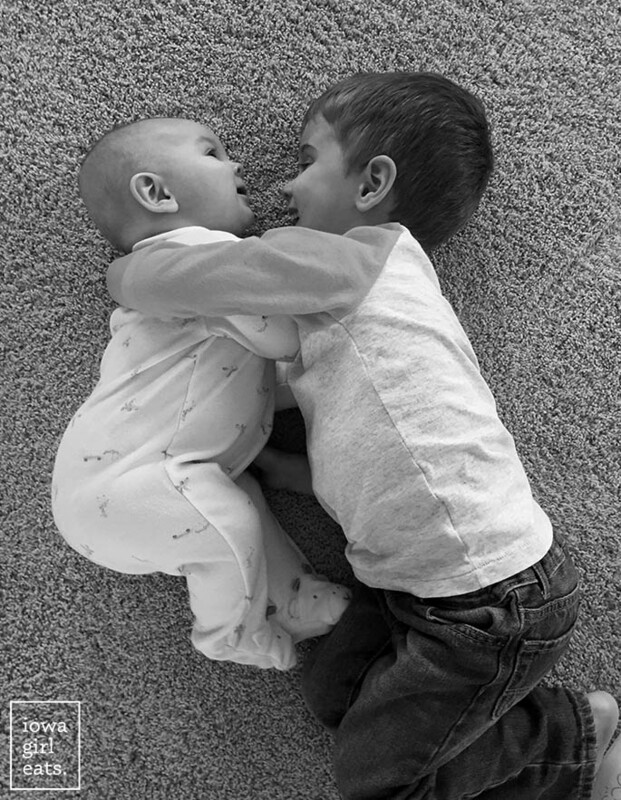 Having two children at completely different places in their lives makes me appreciate them both so much. 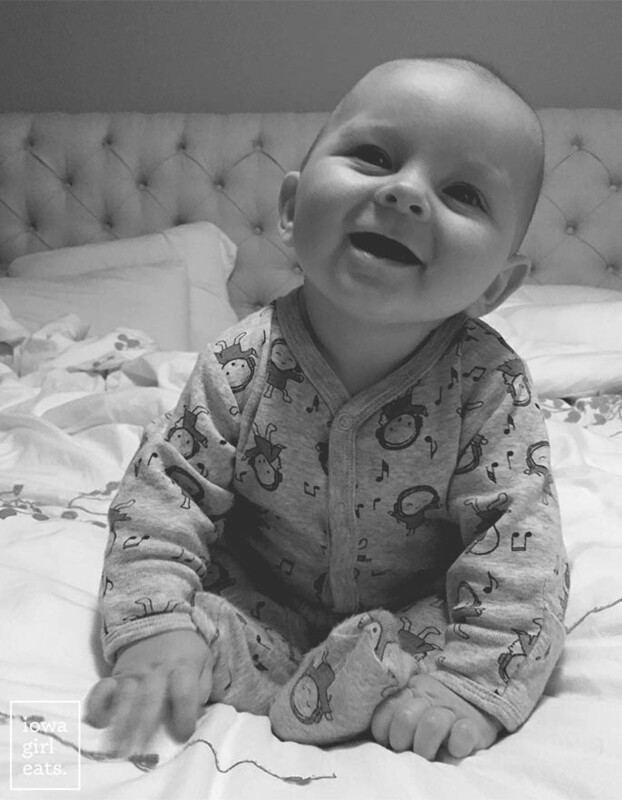 I acknowledge and relish Cameron’s complete dependance on me, his slobbery kisses, a smile that light’s up any room, and his baby shrieks and giggles. 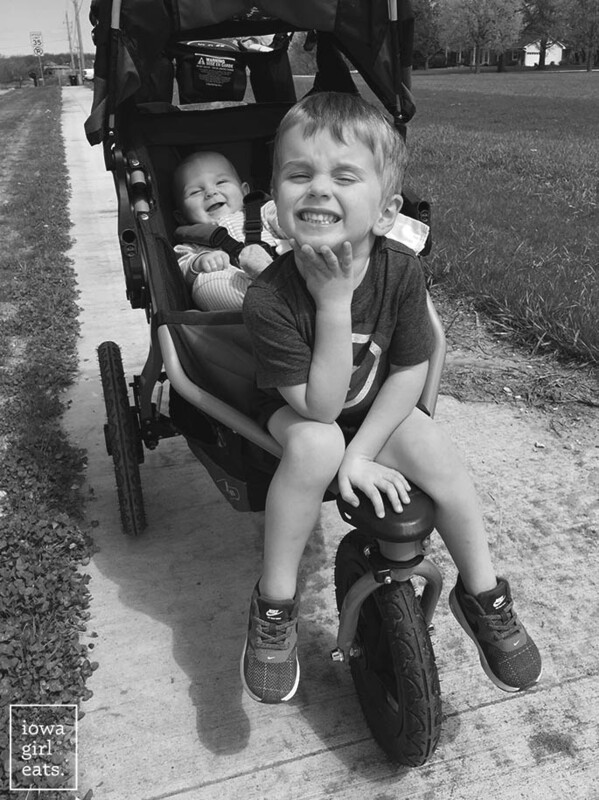 In contrast, I love seeing Lincoln’s wicked sense of humor develop, listening as he weaves tall tales from the depths of his imagination, and watching him grow into an independent little man who still indulges me in my requests for extra hugs and kisses when we part ways for even an hour or two. Which is why this Mama’s going to kick her feet up and enjoy a slice or seven of Chocolate Tart with Graham Cracker-Almond Crust this Mother’s Day – who’s with me?! 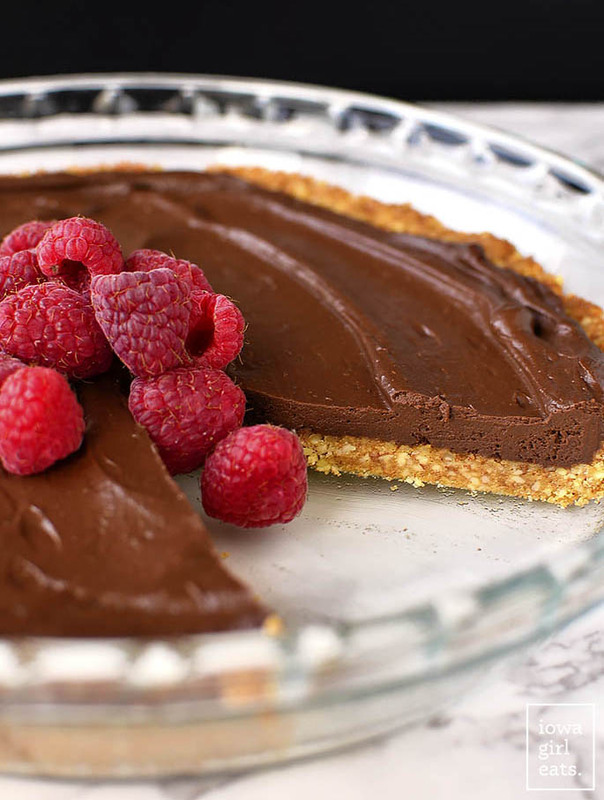 Anyway, here’s what you need to know about this chocolate tart – it’s so stinking easy. I tested the recipe three times and had it memorized by the second attempt. It’s also incredibly decadent tasting but there is NO cream nor butter in the chocolate filling (though I can’t say the same for the freshly whipped cream dolloped on top which I forbid you to skip!) The crust, which is just a mixture of crushed graham crackers and the aforementioned almonds, is the perfect, crispy contrast to the thick, ganache-like layer of chocolate slathered on top. This chocolate tart takes like, 15 minutes of active cooking time total, and is make ahead so you can prepare the day before your occasion (nudge, nudge – Mother’s Day!) then serve after lunch or dinner and look like a total rock star. 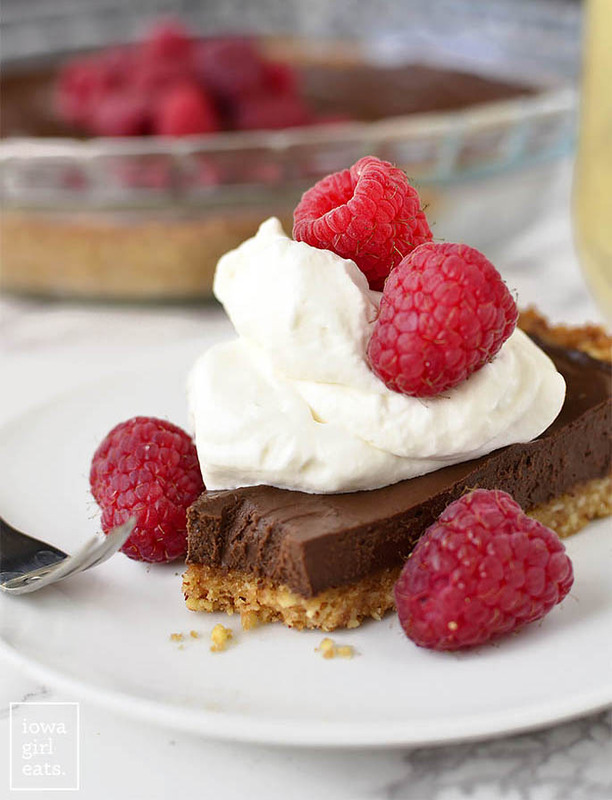 Now, if YOU’RE the Mom craving this chocolate tart in a few weeks – feel free to send the recipe to a friend or family member with the subject line: “I NEED DIS.” I feel like they’ll get the hint. Start by making the Graham Cracker-Almond Crust. 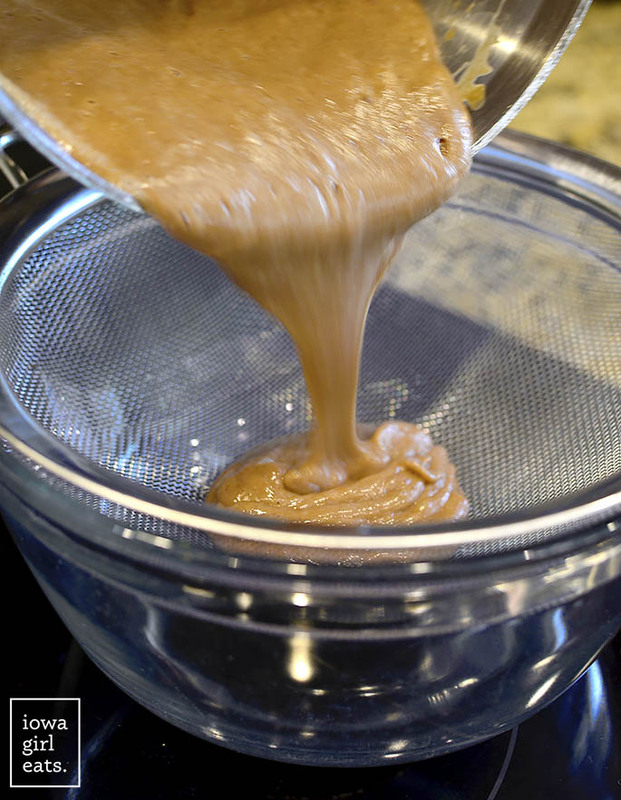 To a food processor, add a heaping 1/2 cup Fisher Naturals Sliced Almonds. 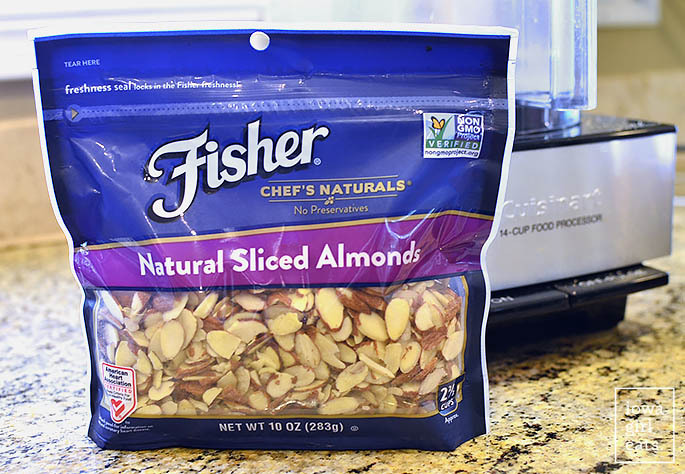 Look for Fisher’s resealable bags which keep their preservative-free nuts fresher, longer. Next, process the almonds until they’re fine crumbs, 1-2 minutes. Add the processed almonds to a mixing bowl with 1 cup gluten-free graham cracker crumbs (I made my own using Kinnikinnick graham crackers,) and 2 Tablespoons sugar then mix to combine. Drizzle in 1/4 cup melted butter or vegan butter like Earth Balance then mix to combine. 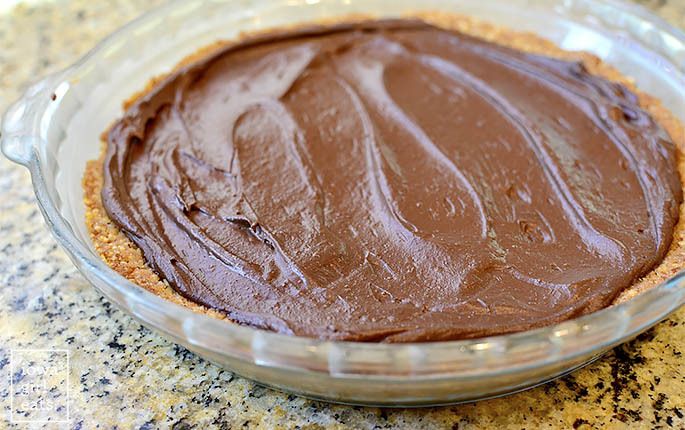 Pour the mixture into a 9″ pie pan or tart pan them press firmly and evenly into the bottom and slightly up the sides. Prick the bottom with a fork all over then bake at 350 degrees for 8-10 minutes, or until the crust is golden brown. Set aside to cool. Next stop – chocolate filling! To a mixing bowl add 3 egg yolks, 1/4 cup sugar, 1 Tablespoon + 1/2 teaspoon cornstarch, and 2 teaspoons unsweetened cocoa powder then whisk to combine. 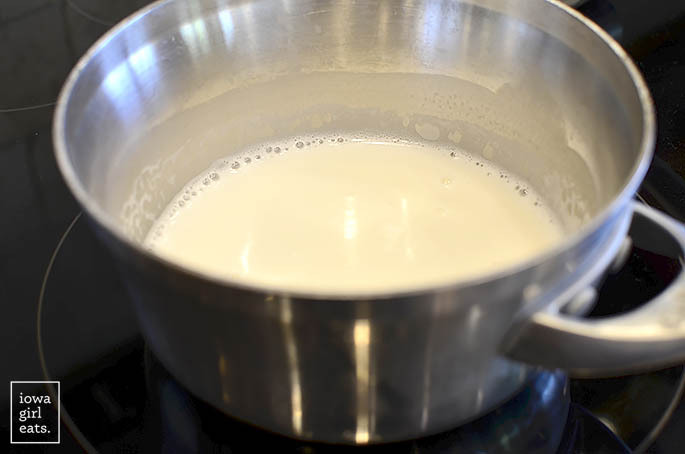 In a small saucepan, heat 3/4 cup milk (any kind – I used unsweetened almond milk,) until it just begins to simmer then slowly pour half the milk into the egg yolk mixture while whisking vigorously. Turn the heat down to low then pour that mixture back into the saucepan while whisking, and then switch to a spatula and cook until the mixture thickens – about 1 minute. Last step is to strain the filling through a fine mesh sieve set atop a bowl containing 3oz dark chocolate chips, 1-1/2oz semi-sweet chocolate chips, and 1 teaspoon vanilla (which are missing from this photo, FYI!) then stir until smooth. That’s a wrap on the chocolate filling! Scoop the filling into the baked pie crust then smooth the top and let the tart sit at room temperature for 10 minutes. Finally, cover with saran wrap then refrigerate overnight. When it’s time to eat, slice, plate, then top with lots of homemade whipped cream (see the “notes” section in the recipe card for my 3-ingredient recipe – you’ll never go back to store bought!) and lots of fresh berries. 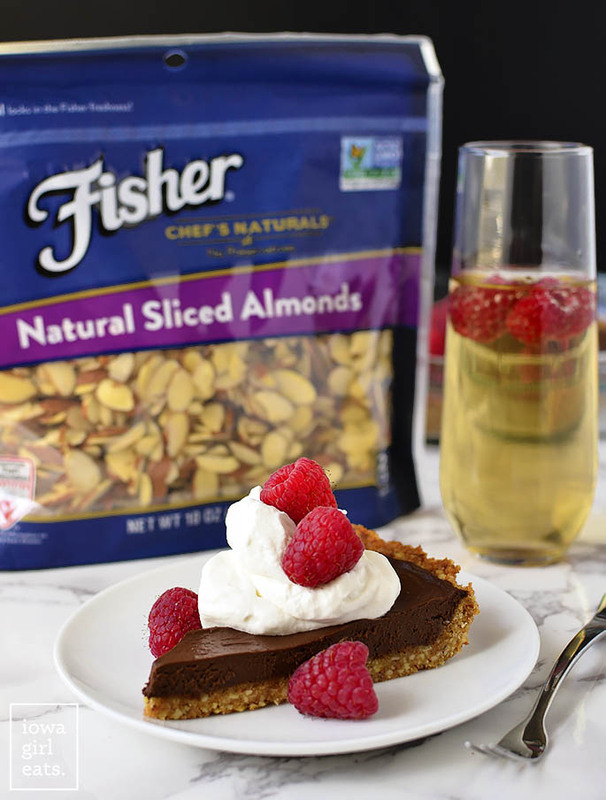 Glass of bubbly optional, but recommend, for pairing with this unbelievably easy and decadent-tasting Chocolate Tart with Graham Cracker-Almond Crust. I hope you love and savor every single bite! Enjoy! For the Graham Cracker-Almond Crust: Preheat oven to 350 degrees. 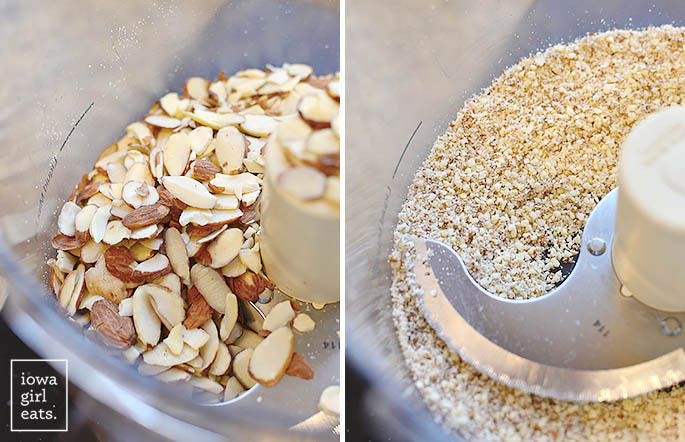 Add sliced almonds to a food processor then process into fine crumbs. Add to a medium-sized bowl with graham cracker crumbs and sugar then mix well to combine. Add butter then mix well to combine. Pour mixture into a 9" pie pan or tart pan then press into an even layer on the bottom and slightly up the sides. Poke the bottom with a fork then bake for 8-10 minutes or until golden brown. If crust has puffed up too much in the center after baking, use the bottom of a measuring cup to gently press it back down. Set aside to cool. For the chocolate filling: Add chocolate chips and vanilla to a medium-sized bowl then place a fine mesh sieve on top and set aside. Add egg yolks, sugar, cornstarch, and cocoa powder to another medium-sized bowl then whisk until smooth. Heat milk in a small saucepan over medium heat until it just starts to simmer then pour half of it into the egg yolk mixture while whisking vigorously. Turn the heat to low then pour the egg yolk/milk mixture back into the saucepan and whisk to combine. Switch to a spatula then cook until filling has thickened, 1 minute. Pour filling into the fine mesh sieve set atop the bowl of chocolate chips then press with a spatula to strain out any pieces of cooked egg. Stir until chocolate chips have melted then pour filling into the crust and smooth the top. Let cool for 10 minutes at room temperature then cover with saran wrap and chill overnight. 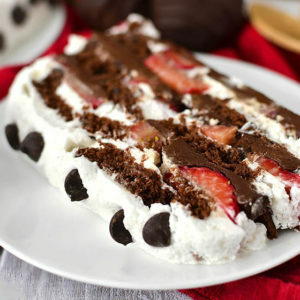 Slice then serve with whipped cream and berries if desired. Easy homemade whipped cream: add 1 cup heavy whipping cream and 1/2 teaspoon vanilla to a chilled bowl then start whipping on low speed. Gradually add 2 Tablespoons powdered sugar then increase speed to high and whip until soft peaks have formed. This is a sponsored conversation written by me on behalf of Fisher nuts. The opinions and text are all mine. I love the idea of making this recipe for mom on her big day! The crust in particular is so intriguing. And I know how blessed I am to be a mom because there are so many woman in pain struggling with infertility who can’t have children or the struggle to have them is nearly impossible (bee there) So I do think on Mother’s Day we should celebrate all woman and not forgot those who are hurting….really sad day for many. Absolutely Laura – such a sweet thought! We’ve been there too and my heart breaks for any person who is struggling! Yum! 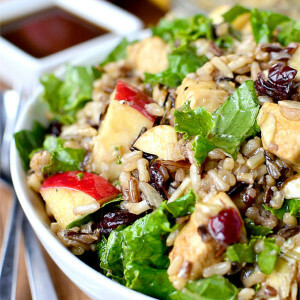 I’m excited to try this, I have a hard time coming up with yummy dairy free recipes that my almost 2 yr old son can enjoy with us. Keep those dairy free recipes comin’! Thanks Kristin! You are so creative and brilliant. 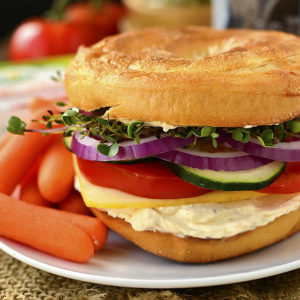 This looks soooo tasty! I may just have to request that my littles make it for me. :) Question: where did you get your whisk? and is it silicone? I’ve been looking for a non-wire one that won’t scratch my porcelain cookware. IKEA! It is my very favorite whisk because it doesn’t scratch my pots/pans, and also because it gets into all the nooks and crannies. They always keep it in stock! Oh my flippin YUM. I NEED to get on this ASAP. That rich chocolatey texture looks divine. Thanks for the recipe! I must Kristin, you showed this in such a way that I can’t resist myself from trying this today when I reach home. I must include this, in my recipes. I made this for Mother’s Day (here in Spain) and it came out soooo well! Despite the complicated sounded directions (sieve…boiling…ahhh!!! ), it was actually super easy and everyone loved it! Since it’s nearly impossible to find Graham crackers here, I used crushed cookies for the crust, which worked well. 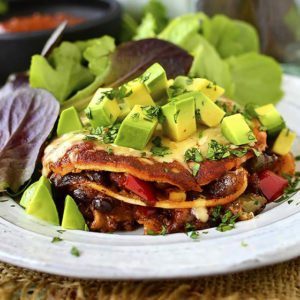 Thank you for this awesome recipe that will always be a go-to for me. 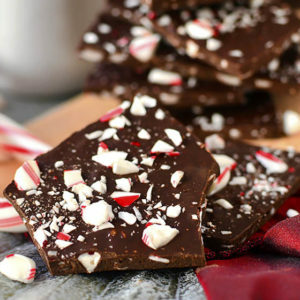 Have you ever tried this with only dark chocolate? I have moved to mainly liking dark chocolate so worried I won’t ‘love’ it with the milk chocolate in it. Although it does sound amazing! Hi Ellen! This recipe calls for dark and semi-sweet chocolate, vs dark and milk chocolate – but I think all dark would be delicious! I made this for Mother’s Day and it was a big hit!! 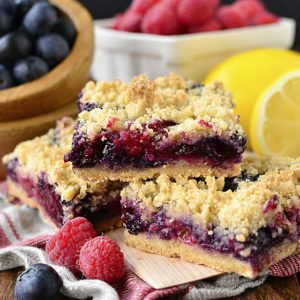 Thanks so much for creating this recipe! So glad to hear it, Kristi! I hope you all had a lovely day! The tart looks super good! Thank you for the recipe! Bookmarked it. Can this be frozen for a few weeks? It’s really delicious! I think if you place a sheet of saran wrap directly over the top of the chocolate then wrap the entire tart tightly with more saran wrap, it could work! 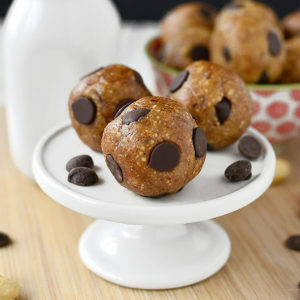 Just wondering what brand of chocolate chips you use? I’ve had a hard time finding dairy free ones. Enjoy Life brand is dairy free and Nestle just came out with a dairy free version too! Why do you strain the first ingredients? In case there’s any bit of cooked egg in the filling. I made this earlier today; it’s been in the fridge for about 3 hours and the filling is still not set. I’m hoping that’s because it’ll actually take overnight?